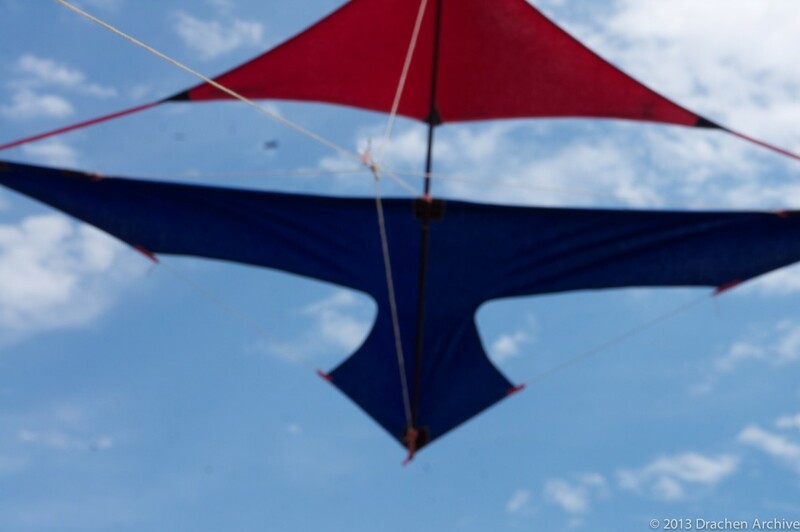 FanØ, Denmark brings together some of the most amazing kite builders in the world when they converge, as they have done every June for the last 29 years, at the International Kitefliers Meeting. Started as an unofficial kite festival with no sponsor, no schedule, and each attendee making their own arrangements and simply showing up and flying, it is now one of the most important and well attended kite events in Europe. Held early in the resort season, lodging is ridiculously affordable and convenient for all travelers, no matter where in the world you are coming from. Kites of every description grace the sky; high-performance sport kites, traction kites, amazing inflatables, and significant historical replicas. Every year there is something eye-pop-ingly amazing that soars in the island sky. But amongst all the kitemakers and their kites, one man stands alone when it comes to his specialty, the Roloplan. 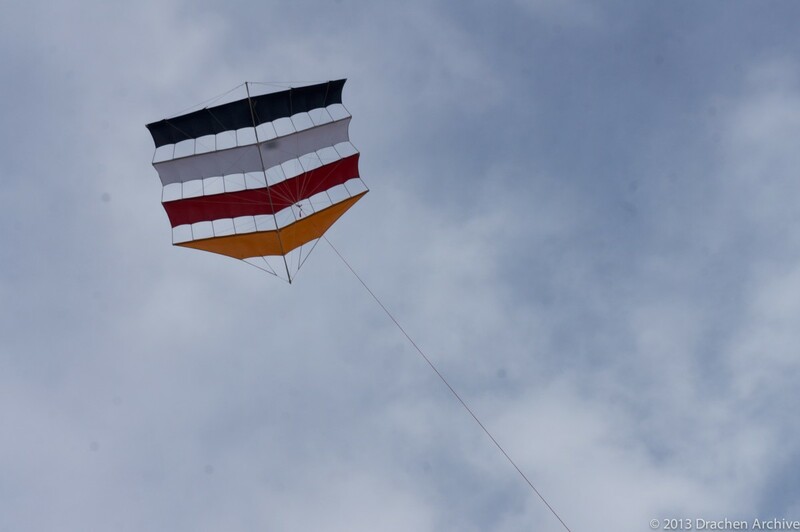 91-year-young Werner Ahlgrim flew Roloplan kites as a child, before World War II. For the last 20-plus years he has made and flown them over the beaches at FanØ and elsewhere throughout Germany. Countless friends have encouraged Werner to make their favorite Roloplan model, from small to large and from two-wing to four-wing (and more). Using traditional materials of cotton and bamboo or wood dowel, Werner has kept the Roloplan alive and shown the world its amazing flight characteristics and beauty. Additionally, he has made Rolo-variations in ripstop nylon and fiberglass, and a variety of cellular creations as well. 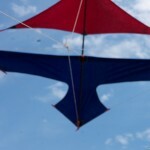 His kites are always prized for their workmanship and their flying capability. In a very positive way, Werner has kept the Roloplan alive, passing on many of the techniques and ‘secrets’ of the design to Wolframm Wannrich. 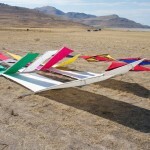 Werner and Wolframm collaborated to make all of the kites for Walter Diem’s book, “Der Drachendesigner, Richard Steiff.” These kites are all unique and heretofore unknown to the kite public. 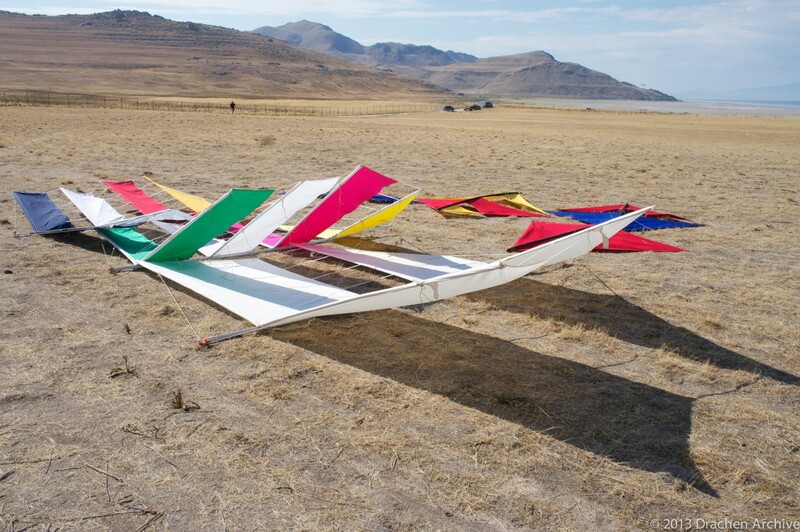 Wolframm’s heavy involvement with the Roloplan and his knowledge and experience with the design has led him to be a licensed maker for the Steiff company, thereby saving this kite from commercial extinction. It was with more than a little concern that I noticed that Werner was not at FanØ this year and I hoped-against-hope that it was not because of poor health. I gingerly asked my friend Achim Kinter if he knew why Werner was not on the island (I knew that his first wife, Karla, had died in 2009 and it was not easy for him to come to FanØ alone, but hoped nothing serious was wrong). To my relief, Achim shared the following and brought me up-to-date with Werner. After Karla passed away, Werner became friendly with Anneliese Petrusch, an 87-year-old also from Werner’s hometown of Bremerhaven. The two found they shared an almost identical upbringing and quickly fell in love! Achim related a story that the two of them were looking at an old grade-school music book and both claimed it to be theirs. It turns out they had the same teacher and took almost identical notes! 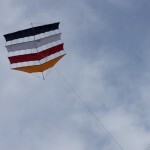 Anneliese is now his fiancé and they live together in Bremerhaven, and Werner has a new hobby, one that keeps him just as busy as his kitemaking did in the past. He is an expert ship-in-the-bottle builder! It turns out he has known Germany’s most famous builder for most of his life so he was easily led into the hobby with the best mentor. From sails flying high above the island sands to tiny sails nestled in sand in a bottle, Werner has proven to be the master. A little about Richard Steiff and the history of the Roloplan……. Richard Steiff was Steiffs creative force and flying was his passion and hobby. As one of Margarete Steiff’s sons, he was one of eight family members named by Margarete as direct beneficiary of the company. Over the years, he engaged in flight from watching small motorized airplanes to that of the work of Count Zeppelin, who lived nearby. These technical flight developments captured his own imagination and brought him to experimenting with his own flight designs. He began work on his kite in 1908, having spent time studying the flight of birds. Development through the years continued, both as a marketable “toy” and advertising tool. According to Steiff records, over 34,000 Roloplans were sold between 1910 and 1915! Readers should note that 2014 will mark the 30th year of the Kitefliers Meeting at FanØ, Denmark. Search www.kitefliersmeetingfanoe.de/englisch/ for dates and details and see www.fanohus.dk, for ideas about lodging on the island. I rate this gathering of kitefliers as one of the must-see events in the world, notwithstanding the possibility of poor weather. The first year I attended, it rained from Sunday until Friday afternoon. But when the weather broke, the spectacular sight was like nothing I’d ever experienced. It convinced me to bring more than a dozen Americans to the island the next year! 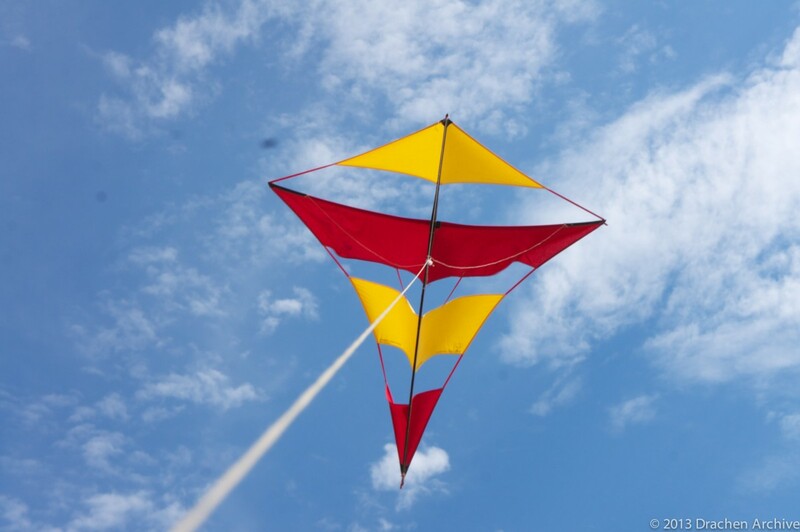 Readers interested in Steiff kites should look for Walter Diem’s Book, “[amazon_link id=”3833440309″ target=”_blank” ]Der Drachendesigner Richard Steiff[/amazon_link].” I found a copy on Amazon.com, so I know it’s available. The book includes 17 unique Steiff kites with detailed plans and photos. 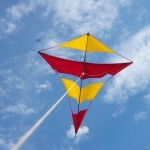 Find plans for Roloplan kites from 90cm to 3.6meters on Rainer Kregovski’s page. This entry was posted in Drachen and tagged featured, Roloplan, Steiff.